Warsash Wasps Sports and Football Club (Wasps) was formed in 1977 to provide local children with a football team that would help them develop their football ability fully. This season we will have 28 teams, and players from mini to adult. There are 6 girls teams, 21 boys teams, an adult mens and adult ladies team in our line-up, playing in 8 different leagues on Saturdays and Sundays. A total of almost 400 players, making Warsash Wasps SFC one of the largest community football clubs in Hampshire. Joining the Club – Please click on the Contact link at the top, this will show you the contact details for the Club teams. F.A. Charter Standard Club The club has always tried to move forward, embracing the concept of developing UEFA Coaching Courses amongst its Coaches and Managers. The club now has a large number of highly qualified coaches, something it is always seeking to expand. 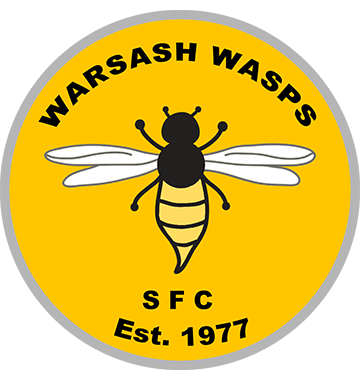 Warsash Wasps has worked very hard to become one of the very few Clubs at the top Development Club level. Please click on Teams link in the menu above. Each of our teams contacts are listed within the team page. Club contacts are listed on the Contacts page.